The state of Maharashtra is the pioneer state to develop and promote Agri Tourism in the country. 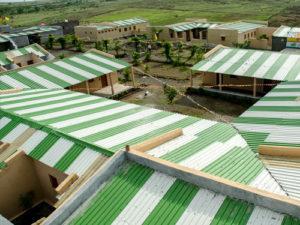 AGRI TOURISM DEVELOPMENT CORPORATION incorporated in 2005 and owns the pilot Agri tourism project of 28 acres in Palshiwadi, tal Baramati Dist Pune, 70 kms from Pune city. The main activities include operating its Agri tourism centre along with encouraging more farmers to take up Agri tourism, conducting training and research programs. This is an umbrella platform wherein most of the tourist reservations are booked and then tourists are sent to different centres. This saves on the marketing cost of the farmers. They may themselves also take the bookings. ATDC only provides a helping hand. ATDC the umbrella organization for the Agri Tourism, practices what is preached, by successfully operating its owned pilot Agri tourism project. 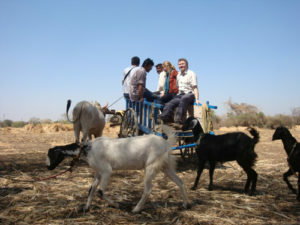 In 2007, ATDC launched Training and skills development programs with Maharashtra State Agri Tourism Vistar Yojana, first 52 farmers were selected in Maharashtra and the story continues This Agri Tourism model has been replicated in 328 Agri tourism centres across 30 Districts in Maharashtra, which has helped to conserve, enhance the village environment, village traditions and culture, customs, village arts and handicrafts. Agri tourism model gives the authentic experiences to the visitors by showcasing village culture, agriculture, traditions that has helped gain sustainable supplementary income source and generated local employment. The concept of Agri tourism is very simple, whereby the urban tourists go the farmers home; stay like a farmer, engage in farming activities, experience the bullock cart, tractor ride, fly kites, eat authentic food, wear traditional clothes, understand the local culture, enjoy the folk songs and dance, buy fresh farm produce and in turn the farmer maintains home and farm hygiene, greets new tourists, sells his farm produce at a better price, earns a livelihood all year round. The ATDC survey in 2014 , 2015 , 2016 shows that 0.40 million, 0.53million ,0.7 million tourists have visited these centers respectively totally generating 35.79 million Indian rupees to farmer’s family, generated jobs to women and youth in the rural communities. This created a win win situation for not only the farmers or the tourists but also for the Government.Not only was the farmer happy to stay in the farm and the tourist satisfied to buy farm fresh produce, but the Government accepted us with open arms as Agriculture Tourism was given a major boost in Maharashtra Tourism Policy 2016. To develop and promote agricultural tourism (Agri-tourism),through ATDC’s projects, training and support as a potential vehicle for diversifying and stabilizing rural economies. Creating jobs, increasing farming community income, providing a broader market base, opportunities for on-farm employment so they do not have to migrate to urban areas. Agri Tourism income to improve their livelihoods, traditional forms of art and music in rural areas 4.Increasing awareness of local agricultural products, enhancing understanding of the importance of maintaining agricultural lands there by strengthening the long term sustainability of small farms. Tourism Policy 2016 initiative that has included Agri Tourism as the major focus area to help small farmers – Tourism Department – Government of Maharashtra. One important policy decision taken is the “compulsory educational tour to Agri tourism centres” for fifth to tenth standard school students. There are many more success stories from each district of Maharahstra State.